Is Dubai Real Estate a Good Long Term Investment? You are here: Home / Investing / Is Dubai Real Estate a Good Long Term Investment? 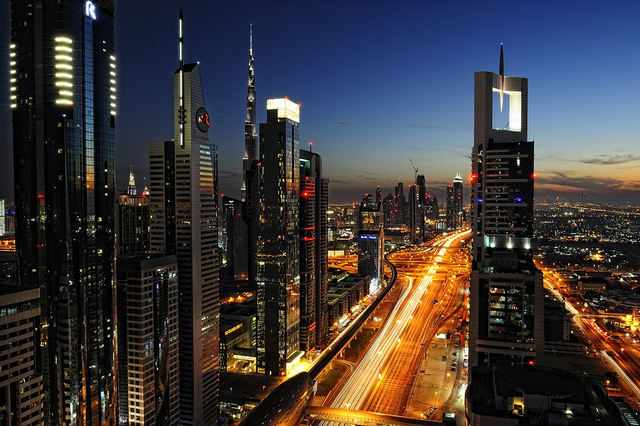 The Dubai real estate market has long presented attractive prospects for investors, and 2014 is no exception. Property prices are expected to rise by up to 40% this year and Dubai’s successful bid to host Expo 2020 has attracted an influx of global investment. So is now a good time to make a long-term investment in the real estate market, or is another housing bubble likely to trigger a repeat of the 2008 crash? Dubai’s successful bid to host Expo 2020 signals very interesting times ahead for the Emirate as a whole, and for various markets including real estate. Hundreds of thousands of jobs are being created in the run up to the Expo and the emirate will be welcoming millions of visitors when the event finally takes place. This has led to a boom in property development with plenty of opportunity for Dubai real estate investment. Due to the detrimental effect of ‘flipping’ in the lead up to Dubai’s financial crash, new regulations are being brought in to try to cool the market and prevent rapid buying and selling trends from occurring. This includes new legislation against speculative selling, hiking up the transaction fee from 2% to 4% in autumn last year and restricting rent increases. The cost of buying and selling means that short-term investment in the property market may not be as lucrative as it once was. The history of Dubai’s property market reveals that prices do have a tendency to rise and fall. The key to a good long-term investment is choosing property that is most likely to retain its value or recover its value should a dip in prices occur. This means property that is well-located and well-connected with a sound infrastructure around it. Isolated developments that do not yet have robust infrastructure are likely to be more risky. Seeking advice from property professionals that know the market is sure to be the best way forward. Regulation within the current market reveals that long-term investment is certainly more attractive than short term. Rising prices and the upcoming Expo also signal interesting opportunities. Investors should, however, take a cautious approach and do their research to ensure that their investment is as secure as possible.